Beauty is normally an elusive quality when it comes to tactical products. And people have been made to believe that beauty and strength do not go together. 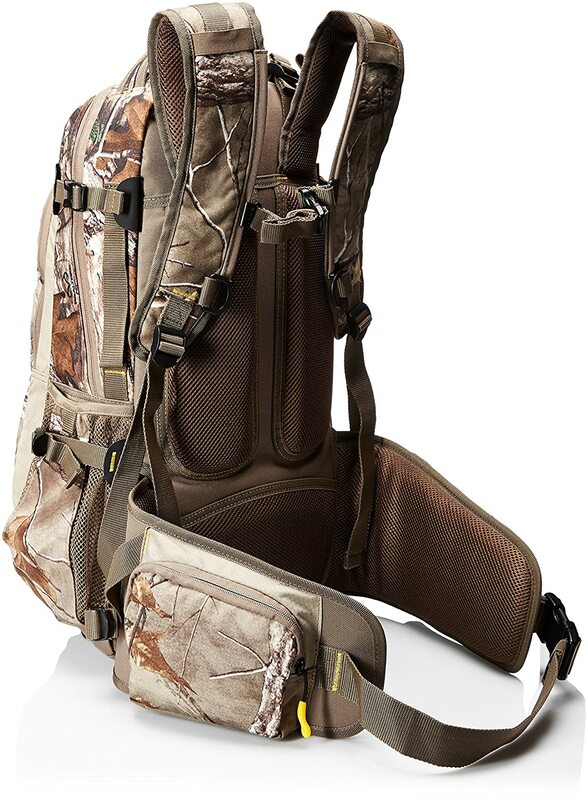 But what if you had a hunting backpack that also acts as a fashion accessory? What if you could own a backpack that, when out in nature, is a rugged, hard wearing companion but can just as easily transform into a beautiful, aesthetically endowed item? Wouldn’t that be an excellent pack to add to your collection? And you honestly don’t need to trade off an excellent appeal for durability or vice versa. Allen Company is of this idea. They got their design team to come up with a hunting backpack that bears all these qualities. And the result is the Allen Company Pagosa Daypack. Just from the name, we can tell that this backpack has class. It has the characteristic hunting pack look. It has intricate designs on the body that give it camouflage. This tells you that it means business. But then the zippers stand out and give it a delightfully enthralling look. This pack is truly exciting, and you’ll be just as exciting. Now, let’s not keep you in suspense and jump right into this Allen Company Pagosa Daypack Review. The first thing you look at when reviewing a backpack is whether it’s capable of carrying all or most of your gear. It’s the main reason one buys a hunting pack. If the pack isn’t up to the task then there’s no need of getting it. And it’s a good thing that Allen Company ensured the Pagosa ticked this box. This is a highly functional backpack with a plethora of pockets and compartments made especially for stuffing your gear. There are also extra pockets on the waist belt for putting in those last minute items. On top of that, you’ll find a lashing system on the front face, consisting of loops in which you can attach even more gear. With the internal carrying capacity of 1800 cubic inches and the ability to lash on extra gear, there’s no chance for you to lack space for whatever you need. With enough storage confirmed, the next logical question to ask is whether the pack is comfortable enough to carry. Well, first, it has padded back support panels. 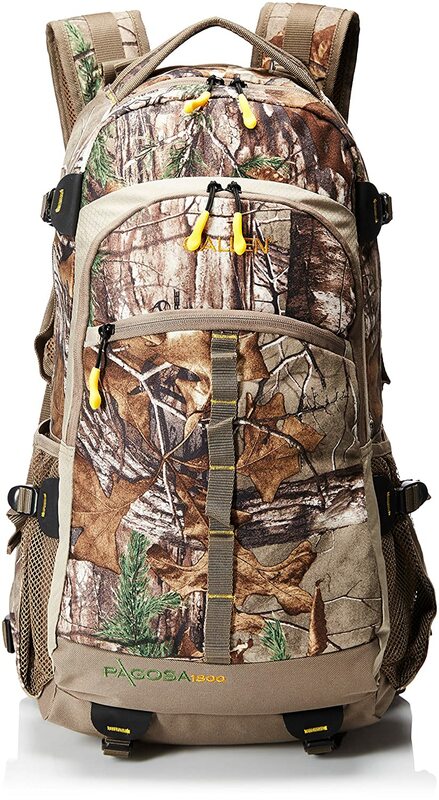 Allen company pagosa daypack ensures that your back has a soft and comfortable resting point. It acts like the shield between you and the load, absorbing any strain the load might transfer onto your back. The shoulder straps are also padded to eliminate the possibility of the pack’s weight piling pressure on your shoulders. And with the compression straps, you can shift the weight closer to your body and make the load easier to carry for a long distance. Next, you’ll be keen to know whether the back can handle the outdoor lifestyle that you enjoy. Nature can be harsh and unpredictable. For a weak backpack, the vagaries will result in quick wear and tear. There are tree and bush branches that will be rubbing against the pack, scratching its body. There will be varied temperatures and exposure to dust. The Pagosa is made just for these kinds of challenges. Its clothed in a 240g brushed tricot fabric. This is a highly resistant fabric that is capable of withstanding the sternest of punishments while at the same time, protecting your gear inside the pack. I don’t need to tell you about the benefits of hiking, if you are a regular hiker or go out hunting, there’ll always come that time when you need some water. It’s perhaps the determining factor between a successful expedition and giving up early. However, how does one ensure they have enough water for the whole journey? Well, one way is by using the hydration port in the pack. Allen Company’s Pagosa is conveniently made to fit a water pouch. Buy any compatible pouch and carry with you some good clean water, enough to see you through the whole trip. If that isn’t enough, you can carry additional water bottles in the bottle pockets located on either side of the Allen company pagosa daypack. Finally, Allen Company included a feature that most other manufacturers overlook. It’s a high visibility feature. And you’ll find this handy when you’re under limited lighting conditions. Perhaps you’ve found yourself groping blindly inside your pack at some point. Maybe it was getting dark outside and retrieving an item from within the pack became an arduous task. With the Allen Company Pagosa Daypack, the inside is lined with a high-visibility lining that reflects the smallest amount of light and makes the inside visible even when the sun isn’t giving out much light. Also, the zippers are large and brightly colored. This not only makes the backpack look elegant but also improve on the visibility factor. The Pagosa is made up of a labyrinth of pockets that provide ample storage space. These pockets add up to a total carrying capacity of 1800 cubic inches. With the front loops, one can also attach extra gear onto the exterior of the pack. On the waist belt, there are also extra pockets that are easily accessible. Having padded shoulder straps makes carrying the pack very comfortable. The padded back support panel also enhances the carrying comfort. Compression straps on the Pagosa shift the weight of the pack closer to your body, making it easier to carry. Made of 240g Brushed Tricot fabric, this Allen Company backpack is able to withstand the harsh outdoor environment. The backpack is hydration ready meaning you can insert a water pouch that’s compatible with the pack. The Pagosa backpack doesn’t have a frame built in. Q: What are the dimensions of the backpack? A: It has dimensions of 13.5 inches by 22.5 inches by 5 inches. Q: What is the name of the material it’s made of? A: The Pagosa is made of a 240g Tricot material. Q: Is the material silent? A: It certainly is. As you move, it makes no noise whatsoever. Q: Is there a pocket for carrying a gun? Q: What is the weight when the bag is empty? A: It weighs just 3 pounds. Allen Company is certainly making waves in the backpack industry. And if they keep churning out products like the Pagosa, they’re bound to leapfrog the competition. This backpack has everything one would ask for in a daypack. It’s carrying capacity is ample but doesn’t present the backpack with an overly large build. It’s made to be comfortable with the padded back support panels and shoulder straps. And with the adjustable waist belt, people of varied body sizes will be able to carry it comfortably. On top of that, it’s a rugged backpack thanks to the 240g Tricot fabric. So, as we end this Allen Company Pagosa Daypack Review, we give it a resounding yes.